As every year, on November the 22nd Bruschi will attend the PMI Day at Politecnico di Milano: a scientific-technological university which trains engineers and industrial designers that have the required knowledge to start their career in Bruschi. The event, that will be held in the PoliMI branch of Bovisa, is a career day designed for small and medium sized business where students, graduates and undergraduates interested in the manufacturing sector can meet industrial companies. The participation of Bruschi in this important recruiting event confirms Bruschi and PoliMi collaboration through the years. Bruschi boasts a partnership of several decades with Politecnico di Milano and also this year will welcome PoliMi students and graduates to its stand, in order to answer questions, exchange information and present opportunities to cooperate. 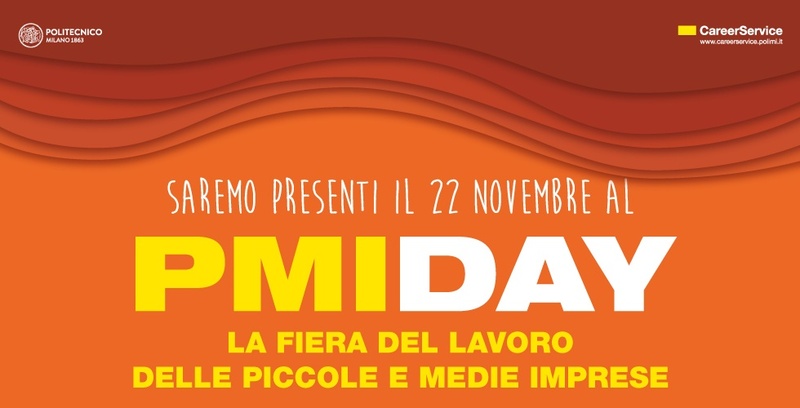 PMI Day represents a growth prospect both for Bruschi and students: the latter will thus have the chance of meeting professionals, applying for job opportunities and potentially implement their knowledge in the field, whereas Bruschi will seize the opportunity of welcoming new resources, confirming its interest in innovation and research. Bruschi’s interest in the new generation of graduates at Politecnico di Milano does not include only mechanical engineers, but also the branches of industrial production engineering, automation & control engineering and design & engineering. Bruschi looks forward to interact with students and recruit new talents, sharing its expertise and offering concrete job opportunities. For further information Bruschi invites you to its stand. To always be up-to-date with trends and innovations in the Zinc Die Casting Industry, you are welcome to subscribe to our blog.